Copenhagen Design Week is in full swing. A design week in a design capital offers up a slough of interesting lectures and events about sustainability, design and architecture. I'll be getting around to some of them on one of my two bicycles. 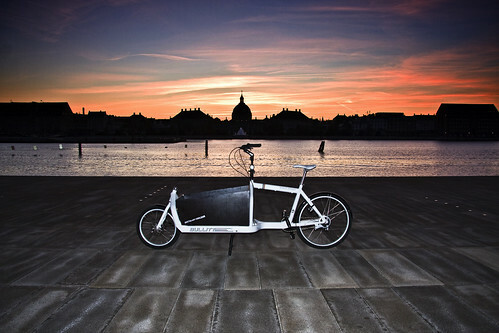 The Velorbis Scrap Deluxe, above, as seen with our newish Opera House in the background. Then there's the Bullitt from Larry vs Harry, which I use to pick up my kids from daycare and school. 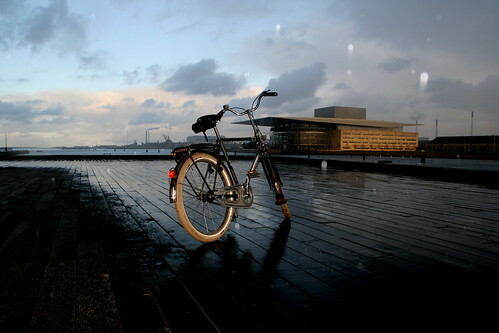 Both bicycles are fine examples of modern Danish bicycle design. If you're in town, be sure to check out the Copenhagen X website in Danish, or English or their daily blog in Danish. All URLs where you can get the lowdown on sustainability, design and architecture in The Sustainable City.